Yesterday, I read a post named “ Silly things I made during my travel “ by a blogger whom I follow. Swimming in river of jungle ( Taman Negara ) in Malaysia ( without knowing how to swim ) and almost drowned. 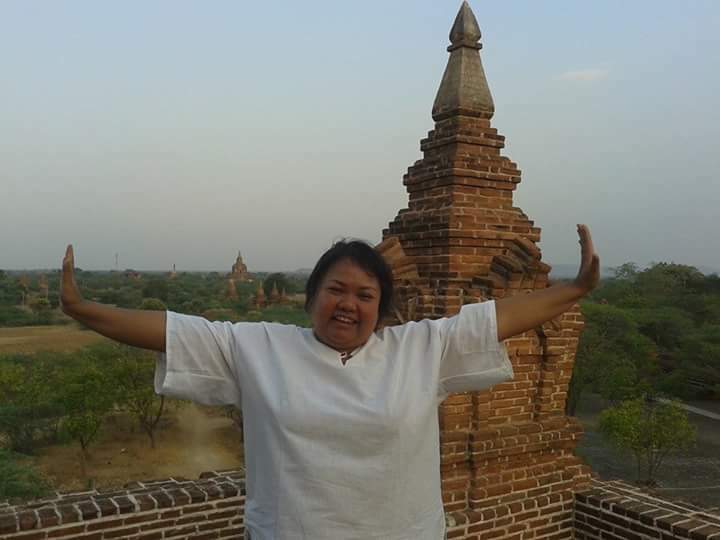 Before you get irritated with my silliness, or should I call it more like stupidity, I would like to write about Amazing Bagan. 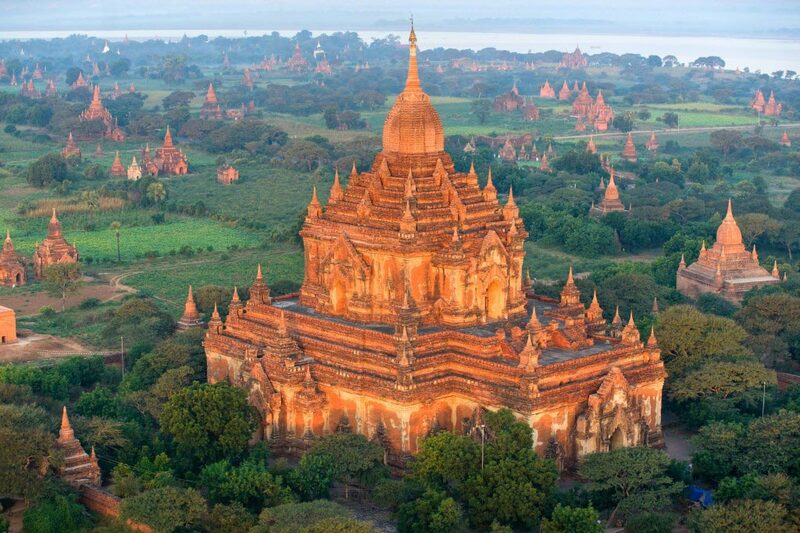 Bagan is situated in central part of Burma, standing on the Eastern part of Ayeyarwady River. 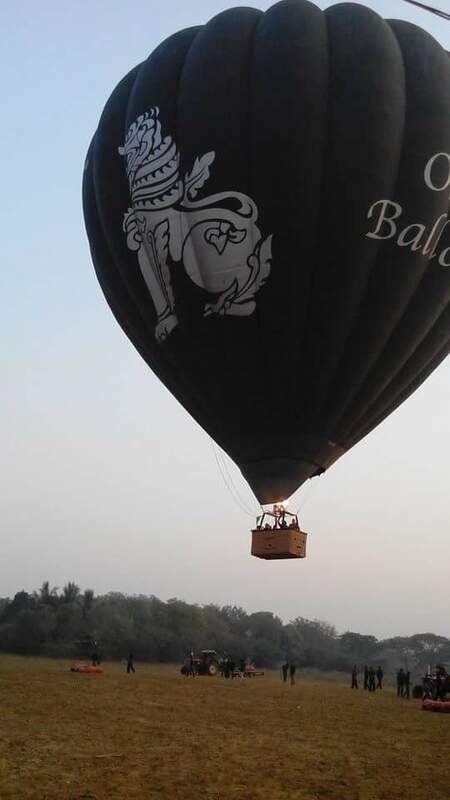 Bagan Era existed from 107 until 13th century and reined by 55 kings, there are lots of stories behind. For example, there was the time, people left pretty ladies for the human sacrifice at the area of big bird who only wishes to eat beautiful girls. 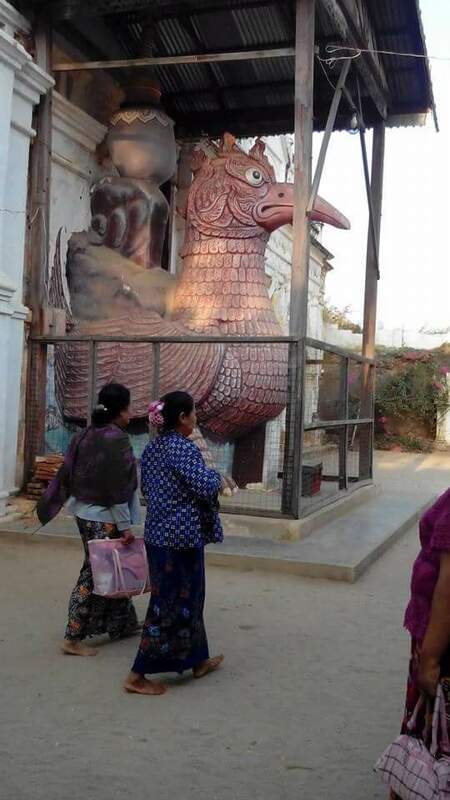 It makes more sense to think that giant bird cannot be defeated by villages and instead of letting it come to village again and again , runing everything randomly, the villagers decided to choose girls to feed the bird. 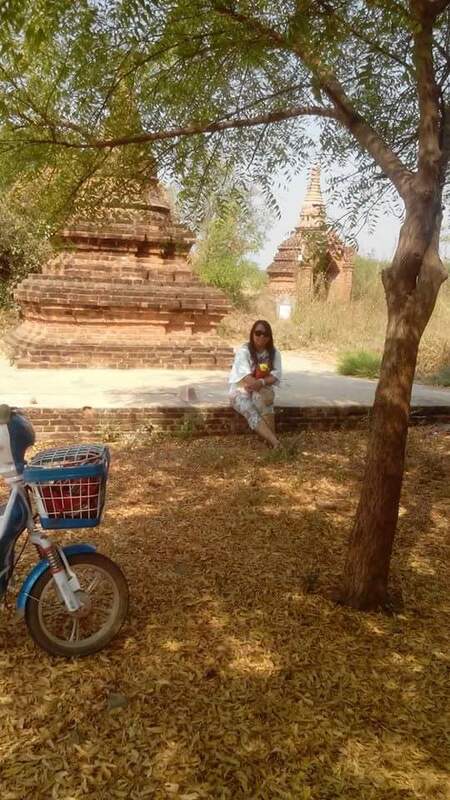 I was making joke with my best friend that I would not be eaten even if I was born in Bagan that time. 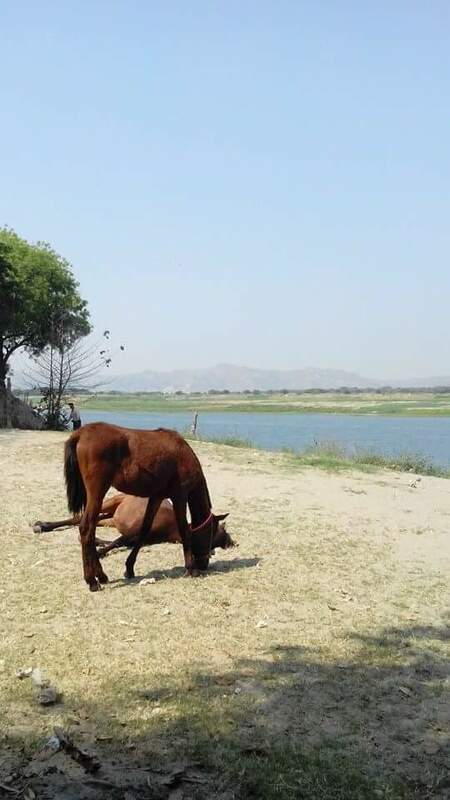 Haha. According to the legend, the bird ate 4300 girls until it was killed by a hero. There is a display of the statue of bird as well as the tunnel area where girls used to hide from the bird. Some pagodas were built by a dedicated hero whose spirit still linger around the pagoda. 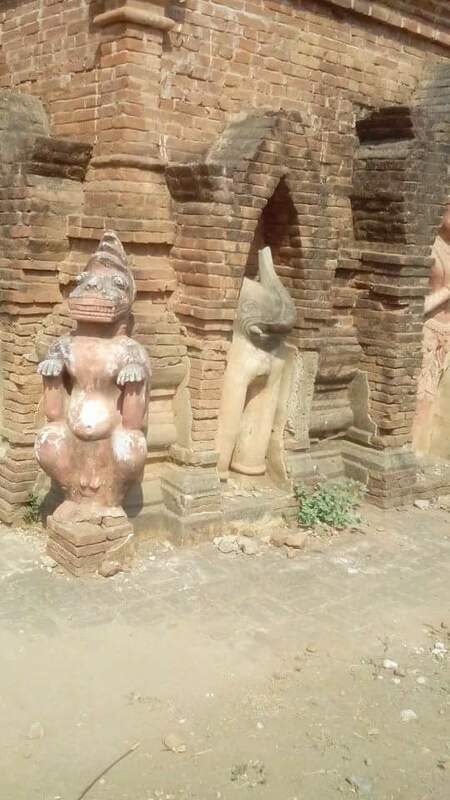 For example, near Dama Yazaka pagoda, the tourists was taking photos and later he could see the image of a man wearing an ancient attire in his photos. Creepy! Isn’t it? Some pagodas were built to compensate for the sins of the kings or to show the remorse. 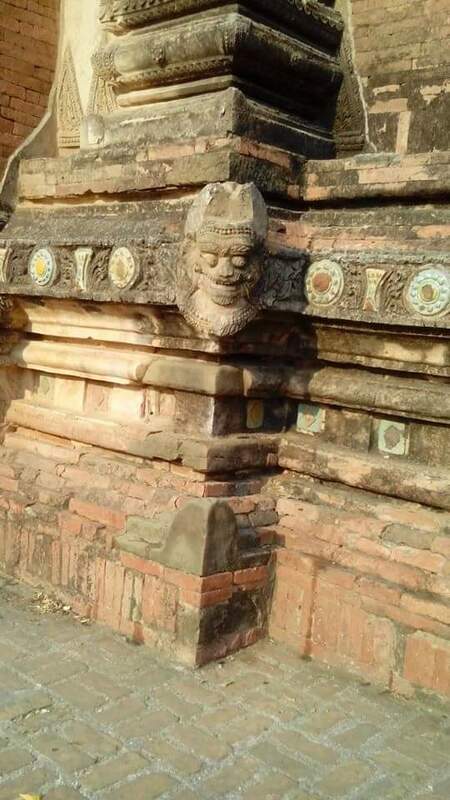 For example, King A Laun Si Thu made the mistake of vowing “ I am the most powerful King ever in Bagan” although there are 44 kings previously. He became blind because of his inappropriate statement, punished by the spirits of the previous Kings. 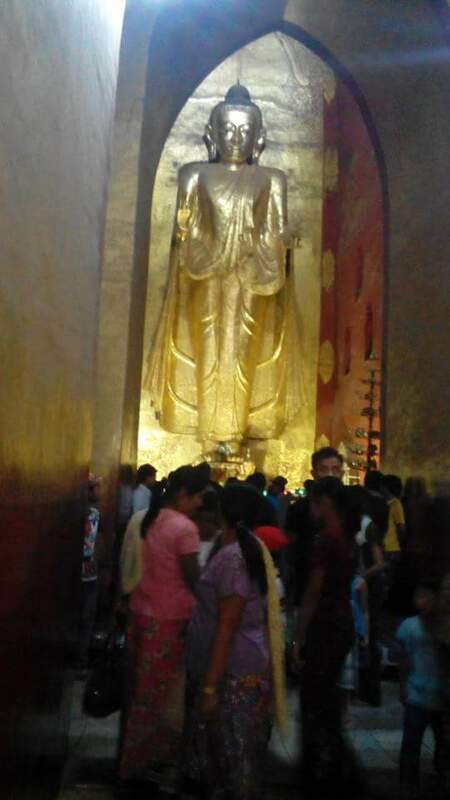 To counteract his mistake, he made the statues of 44 Kings in gold and worshipped in the pagoda called “ Kadot Palin “. Some pagodas have happy stories as they were built by good Kings who ruled the country with rule of Laws and justice. I think I am getting lost in the stories of pagoda which can be very long. 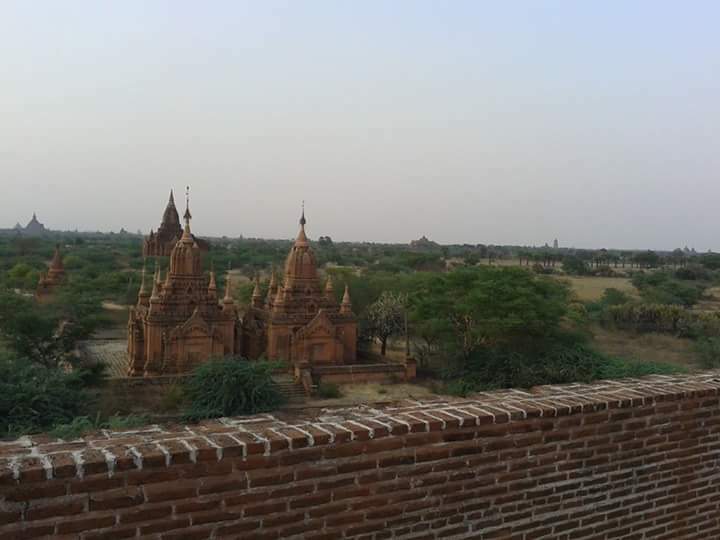 Really, Bagan has many stories, many types of buildings built in different Eras. 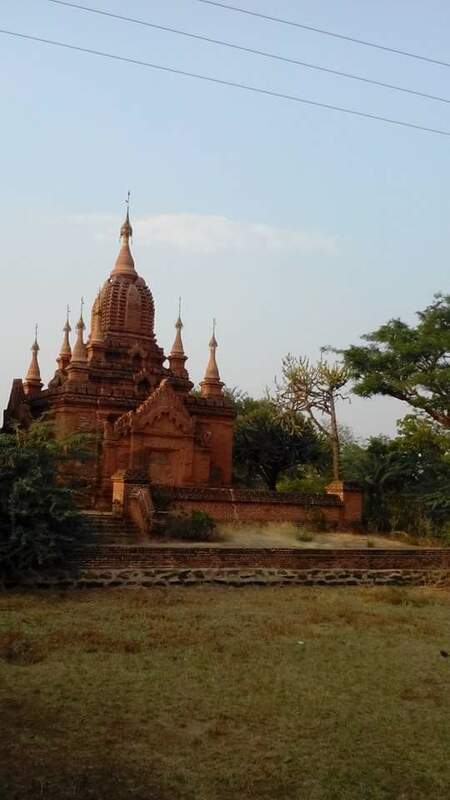 When Myanmar Government ordered the residents to move out of area of ancient buildings, the place became deserted at night. It has been a good decision ever as people can destroy our archaeological value. 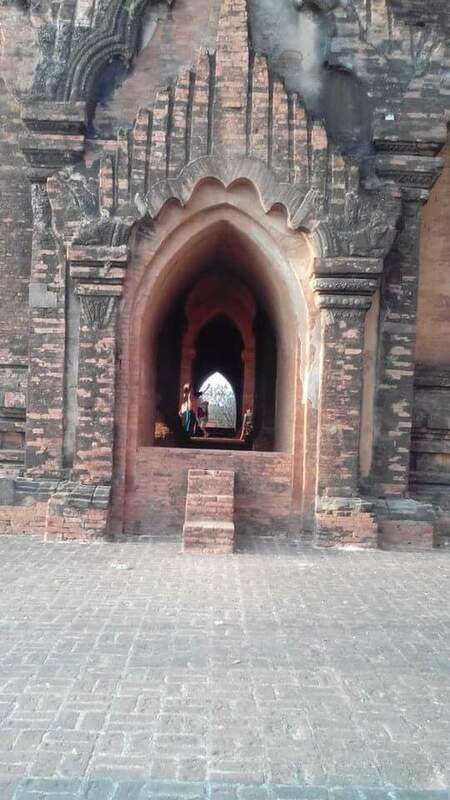 When I visited Bagan in 2014, me and my friend decided to cycle in the ancient city as it will give us access to a small lanes and hidden areas. As it was in February, it was not so hot . 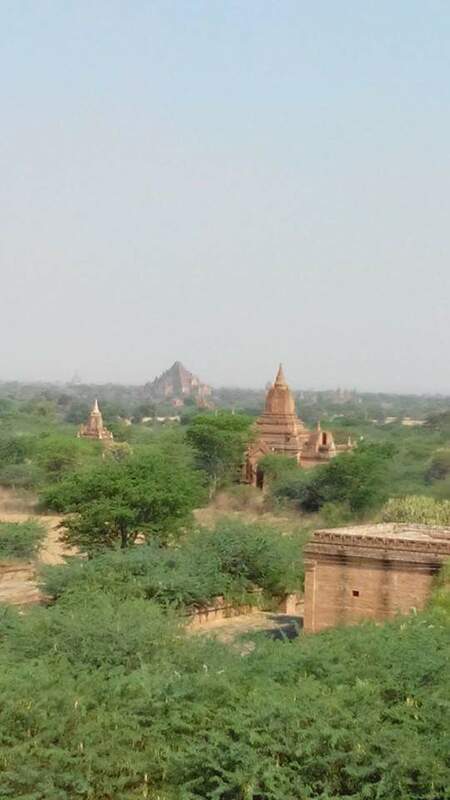 However, Bagan is always a bit more hotter than other parts of Burma. We hired battery bike and cycled them to various temples. 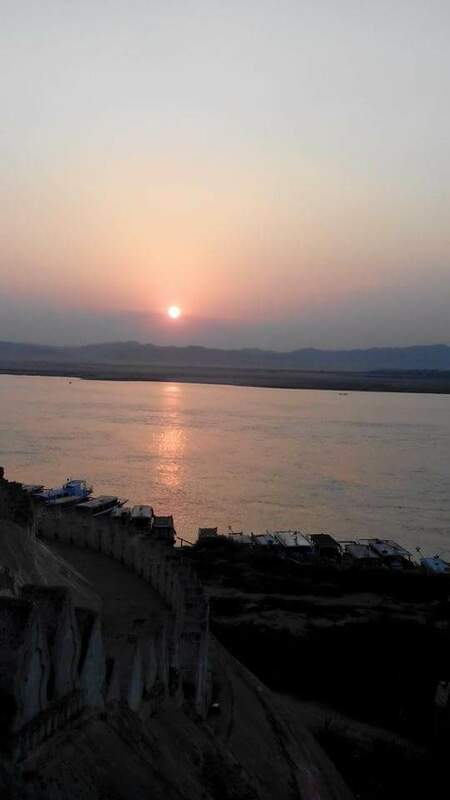 We cycled across the river banks, near pagodas and remnants of unknown buildings, etc. We felt like we were back in the past, exactly 2500 years ago, lost in all old buildings. But we didn’t notice the battery bike need to be charged. So in the end, the battery ran out and we were stranded in Middle of Nowhere in Bagan. It was quite far from the town and very deserted. As it was getting dark, I recalled stories my friends told me. 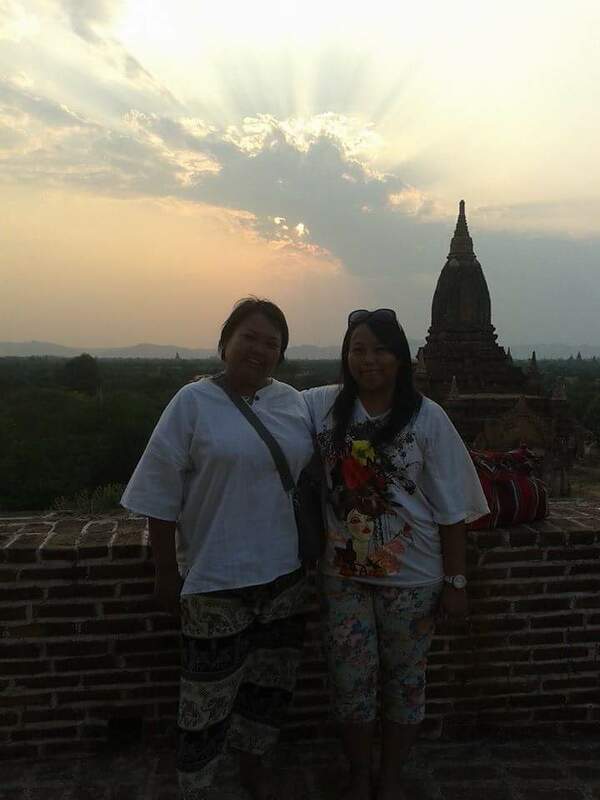 There are still lots of spirts around Bagan and they decided to come out at night to have a stroll around pagodas. Some are pretty ladies wearing ancient Attire and they like to hire the horse wheel cart. 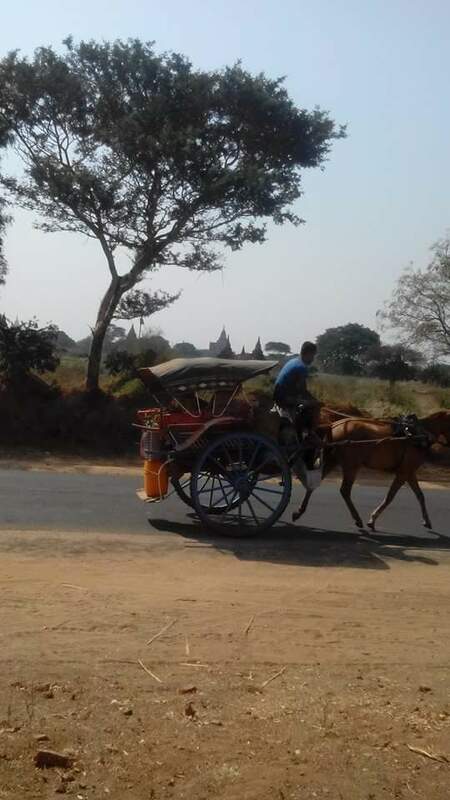 The drivers of these horse wheel cart are used to the spirits and usually allow them to get on the carriage. Upon getting off, the ladies would offer them gold coins in return of gratitude. Some drivers were freaked out and ran away as soon as they see that sort of girls on the road. Back to our story, while we were alone on the highway at twilight, I was more concerned about spirits and ghosts than the robbery. As usual, I am full of imagination and I would not know how to react if the spirits came out and talked to us . So we tried to get a lift from passing vehicles. Unfortunately, the road was rarely used by travelers and for a long time, we couldn’t see anyone. Then some private cars passed by us without offering us any lift. Finally, a motor bike stopped for us and offered one of us a lift to go back to town. It means one of us would be left behind with two bikes without battery. None of us wanted to be left alone. So we declined the offer. Then the biker said “ it is getting dark. I am worried for your safety. I will wait until we get another bike. However, who will take care of the bikes? If the bikes are unattended , someone will steal them. You should call to owner”. So we desperately tried to contact the owner of the bikes. We were worried we would miss the bus as it was only one hour away from the departure time. We were supposed to go back to Yangon on the same day. Finally, the owners of bikes came to rescue us. They took back the bikes so that we could safely go to the bus station with the gentle men who gave us the lift. Next time, I would charge the bike every 4 hours. Don’t worry. Note: These photos were taken in 2014 before the earthquake of 2016. 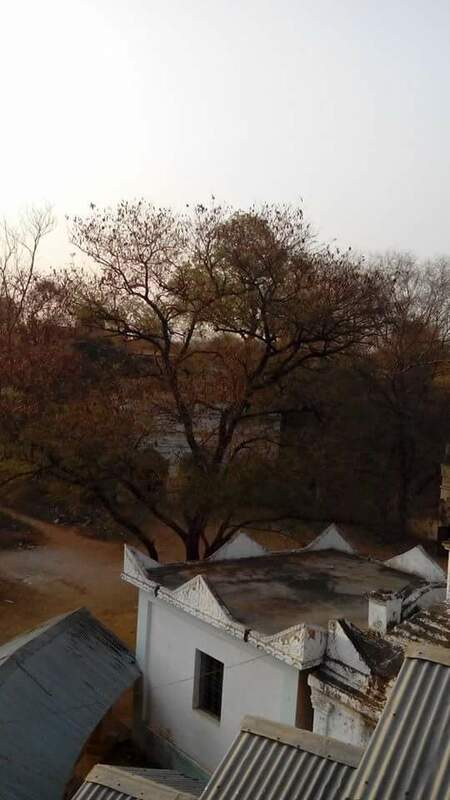 So some buildings were damaged due to earthquake and you might not find the original pagodas anymore. Now, I wana post photos of Pindaya Cave in Burma. The Cave has legends and its situated near a big lake and people believe angels came and swam in the deep blue water of Lake. While angles were inside the cave after a good swim, a giant spider closed the entrance with its spider webs and trapped them. Then a prince appeared and killed the spider. Later, he fell in love with the youngest sister and the angle did not follow his sisters back to Heaven. However she was forced to go back by her father . Later the prince went up to Heaven to bring her back. Anyway, there are lots of Buddha statues and pagodas inside the cave now. I am not particularly interested in cave as I am asthmatic and I usually get eerie feelings and sense of suffocation whenever I visit inside the cave. However, my curiosity always drives me to do some venture inside the cave and I went twice to Myin Ma Hti mountain to observe the cave. Another reason I went there is the view on the way to the cave is awesome and there are lots of seasonal flowers especially sunflowers and sesame flowers ( I went there before harvest time in December , so the scenery was yellow , white , green and red , the color of soil in Shan State is red ). But if you go there other time, you will not see sunflowers. 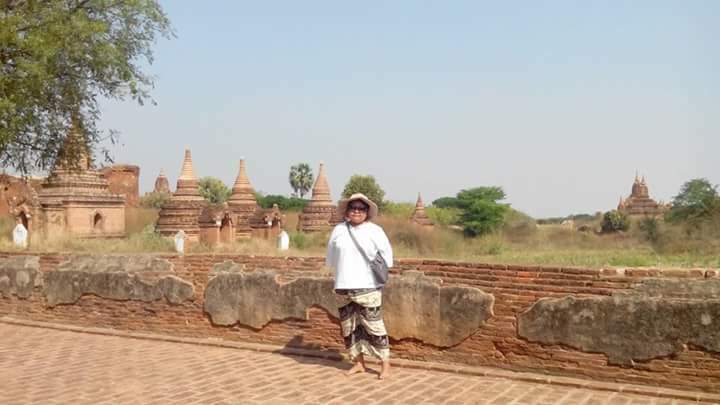 According to the record done by a monk at the Myin Ma hti village in the year 1906, the pagodas inside the cave were first founded by King Siri Dama Thaw Ka around 2300 years ago. King Siri Dama Thawka was well known as a king who tried to spread Buddhism all over the country. 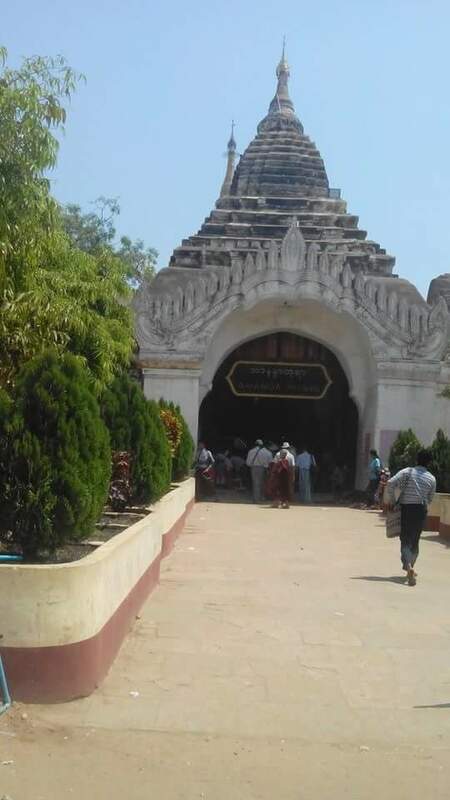 He built 84000 lakes, 84000 wells and 84000 pagodas, The cave is 1028 feet long and on the walls , there were side tunnels which are linked to outside. Previously, the cave was covered with the water and it was used to be called water flowing cave. However, it was assumed that the water disappeared through some opening inside the cave and nowadays, it is dry. There are still 28 statues which was assumed to be created 2300 years ago. 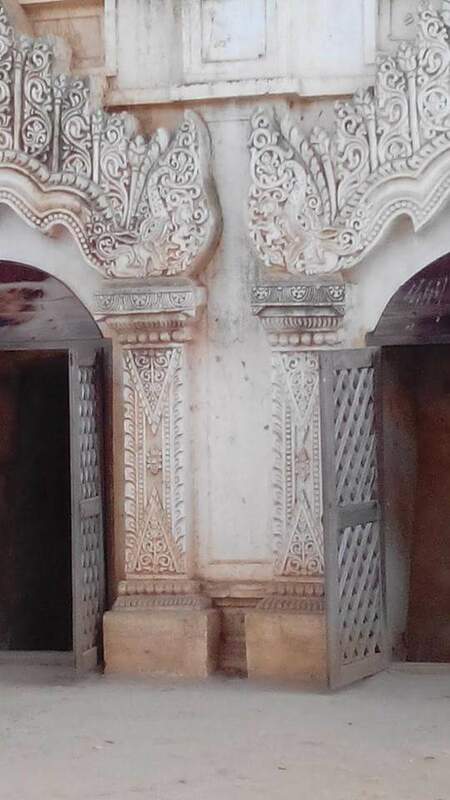 After King Siri Dama Thawka , King Anawrahta took over the pagoda and did some renovation , then it was taken over by King Along sithu. 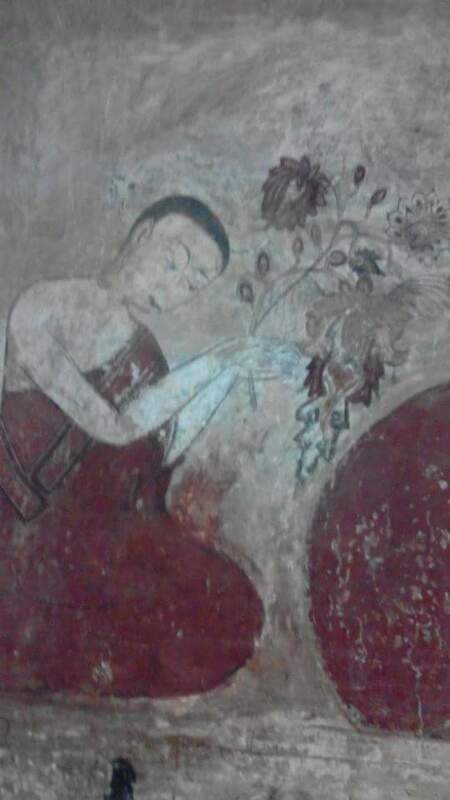 According to the record, the cave has existed for thousands of years before Buddhism flourished there. 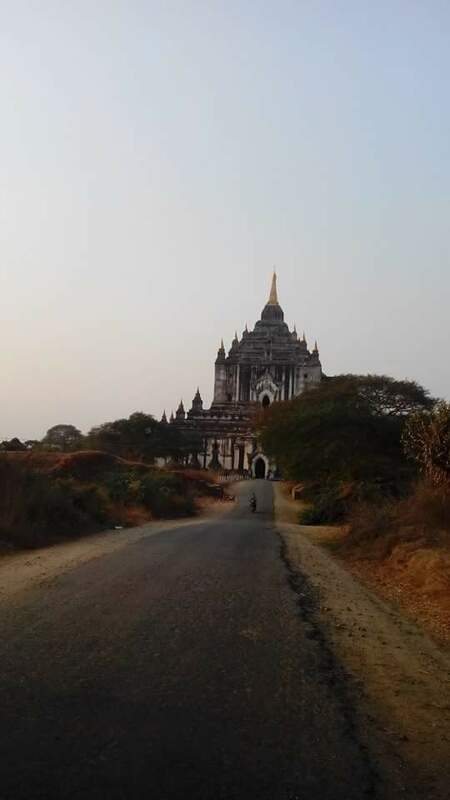 Myin Ma Hti mountain is four miles from Kalaw Town. 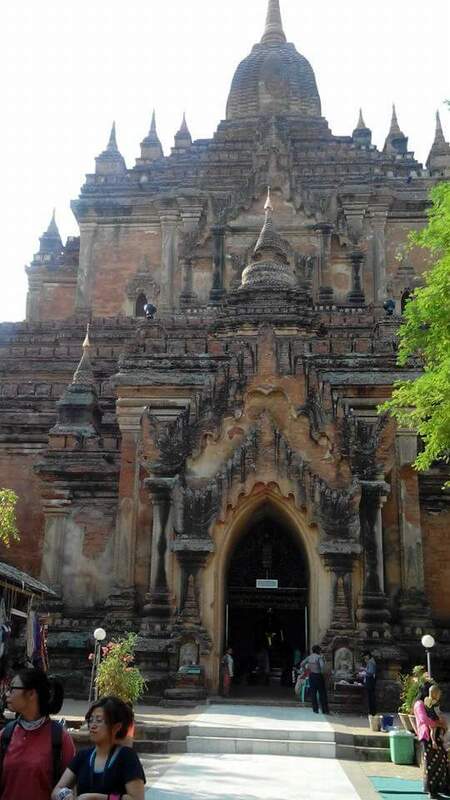 Kalaw is 4315 feet above sea level and the summit of mountain is 1075 feet from the base. You could reach the cave by turning to the right after you passed the toll if you come from Kalaw. You need to drive a few miles and the cave was on the way to Pin Long .It is situated in between Kalaw and Aung Ban. 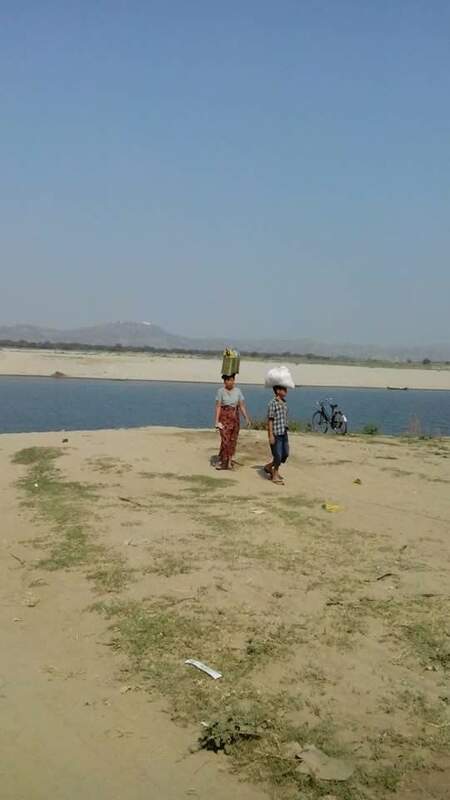 It is four miles away from Kalaw and two miles from Aung Ban. The temperature inside the cave is quite low and the water drops pour out from the cave. There is a place where you can make paste from the tree bark and wear it on your face. Some old people believe it has therapeutic effect. ir was written the angle’s stone and the girl is trying to take the paste of tree bark from the stone. 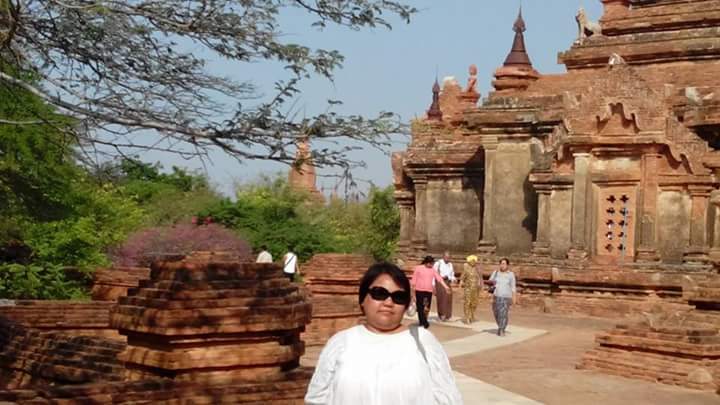 It is so cold right now, for a woman who has lived in hot places for more than 4 decades, I still cannot cope with temperature less than 15 C. Right now, the temperature is only 9 C in Taunggyi, Southern part of Shan State. The coldest hours are from 10 pm to 6 am. I am shivering while I am typing this. 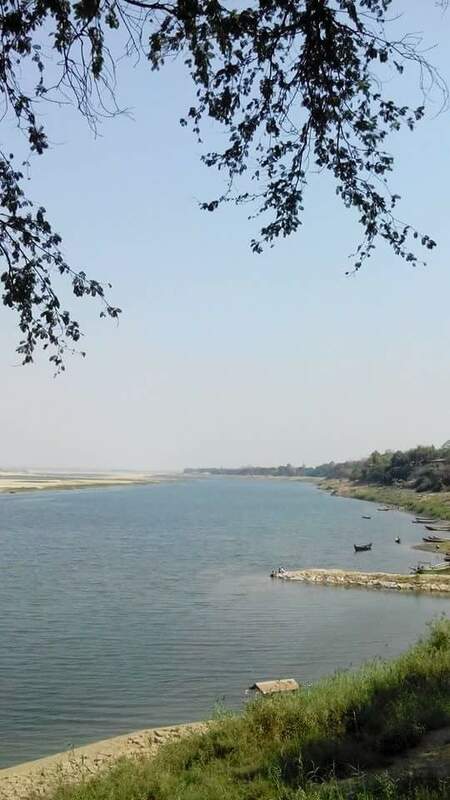 However, this time is the best time to travel in Myanmar, no rain and the roads are not wet and flooded. You can see lots of flowers in Shan State. They are all wild and seasonal flowers. There are so many legends about that village and it will be a good story for the curious travelers who also can trace the history. A lot of villagers are afraid to venture inside the forests and the caves for the fear of spirits and usually, people even local do not know much about the history. The local are superstitious and even tried to stop the tourists from venturing into unknown places. One time, a tourist tried to go inside a cave in Ywar Ngan village but he had to come out finally because the cave did not end after a half day and he became worried of safety. I will tell you how I go there from Taunggyi, the capital of Shan State. Taunggyi is in Southern part of Shan State. At first, we went to He’ Ho ( a place where there is an airport ), then Aung Ban and from there, you have to turn to right . It is the same way you go to Pin Daya. But once you reach the junction called Kyone, you need to turn left ( or go straight) , instead of turning to the right . If you turn to the right, you will reach Pin daya. But don’t go that way because the road to Ywar Ngan from that way is very rough and only bicycle can manage well to go. May be the road will change in a few years as the villagers are repairing the road. For us, we had to turn back as we don’t want to damage our car by bumpy roads with full of rocks. We are lucky because we came across lots of beautiful scenery on the way, the view is full of yellow, because it is the time for sunflowers and sesame flowers to blossom. To add that, there are also wild flowers which are all yellow. We can see yellow, light green , red ( the color of soil is red) , dark green and white. I was so fascinated by the view and also thankful to my friend for driving there for me. Once you reach Kyone, you need to drive another 34 miles to reach Ywar Ngan. On the way, We see the road lined by Euclid trees. The view is beautiful because all the sunflower fields and sesame fields are surrounded by mountains. The cold breeze tickled my hair when I started to walk along the road. I even went inside the field and observed the sunflowers and cabbages carefully, I could also see some pagodas built at the summit of the mountains. On the way to Waterfall and blue lagoon ( Mya-tha-bait lake), you can drop in at Main-ma-ye Mountain. I did not climb the mountain because I recently had ankle sprain and didn’t want to get another injury. But I am going to post photos of my friends who hiked it. If you are patient, you can get the nice view at the summit. After the mountain, we went to the blue water lagoon ( Mya-tha-bait-yay-pyar-aing). I believe the water is blue because of some chemical in the soil. But contrary to science, a lot of villagers believe there must be some treasure such as emerald bowl buried beneath the lake by angles. The legend is that the angels kept the emerald bowl for the purpose of donating it to New Buddha. They also believe there are a lot of spirits guarding the lake and are extremely cautious not to offend them. For that reason, they protested the idea of a tourist who came from Europe with the purpose of diving inside the lake and measuring the depth of the lake . They believe once you disturb the spirits, the villagers have to bear the wrath of super natural beings. The lake was carefully fenced and you cannot throw anything inside the water including the bread for the fish. The water is amazingly transparent and we could see fishes swimming peacefully around the branches of trees inside the lake. It was fascinating and I lingered at the fence without noticing that foreigners were trying to capture photos and I was obliterating their view. Finally we moved on and went to the Forest star water fall , in Burmese ( Taw-kyal-waterfall). The waterfall as well as blue lake have been looked after by the monastery nearby and they try to clean the lanes and make sure tourists are safe. They also offer public toilets for the tourists and travelers. I would like to advice to donate for a few dollars for the monastery if you can. There is a donation box near by. We also saw a few Shan children playing on the way. They are very cute and kept on calling me ” sister”, in Burmese ” Mama”. When I approached them to have a chat, I found out that they don’t speak Burmese . They only know the word ” sister”. Daring village girls walking at the brim of waterfall and one of them nearly fell off. I was scared even looking at them. I wanted to go to the caves , but it will take a lot of time and you need to go with the motor bike in the early morning . So we returned back and think of going there again. There are more photos of scenery along the way. The highly fertile red color soil and it can grow everything.